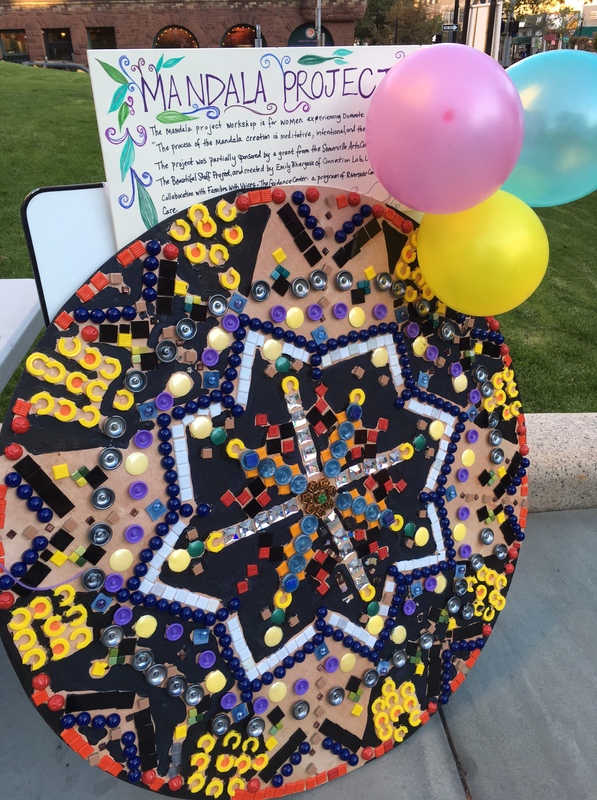 As you may remember, the beautiful mosaic mandala created by women who are survivors of trauma was accepted to be part of a gallery show called “Wall 2 Wall: Art Builds Community”. 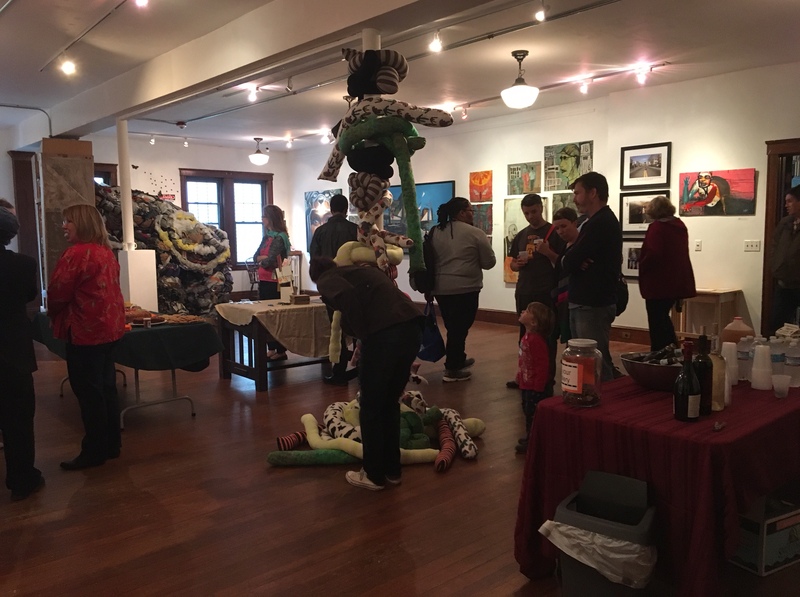 The show was a success, and on the day of the opening reception the gallery was full. I spoke as part of a panel of artists to describe the process that we used to make the collaborative art. I also explained that the piece served many different purposes; to provide a setting for meditative reflection, to use art in the interest of public health, to teach mental health counselors that art can be a tool for their work, and to create a piece of art that can be used as an entrypoint for a public discussion of domestic violence. 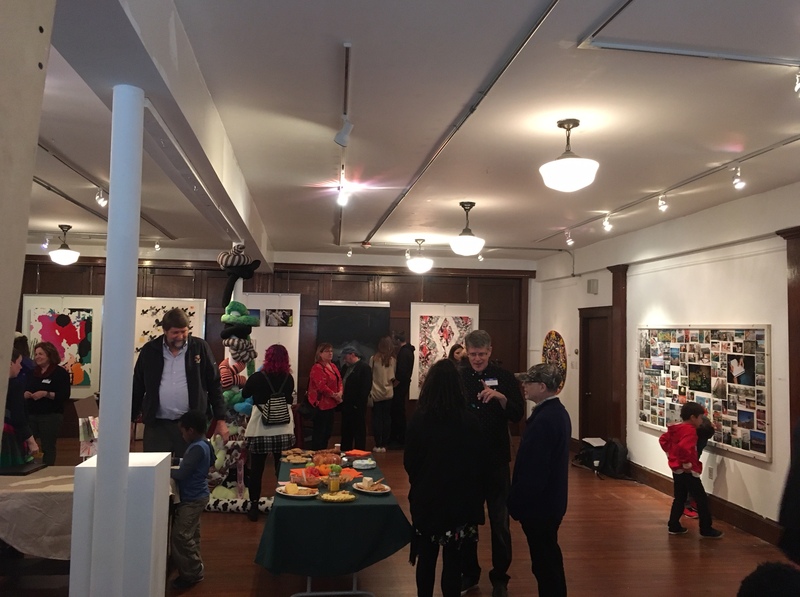 After the show’s opening, many groups of students and community members visited the gallery for guided tours. The tours included discussion of the multiple ways that art can be used raise awareness and bring people together. 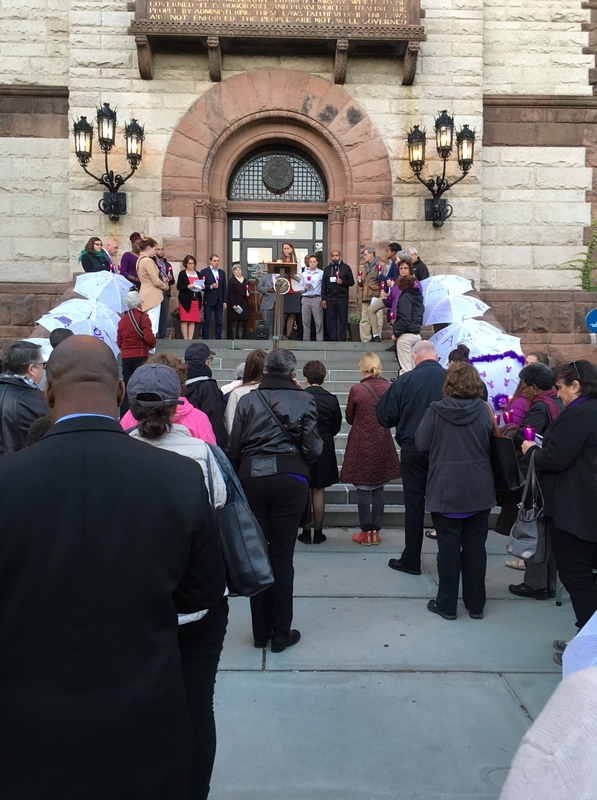 In a addition to the gallery show, the mandala was displayed at Cambridge’s domestic violence vigil at City Hall. It was one of three art pieces shown there that explored domestic violence and survival.